Long time friend of D4PCF Bob Moffit has an interesting take on “Medicare for All” grounded in the law of unintended consequences. Government health care take over will worsen the doctor shortage. Host Hal Scherz, M.D. 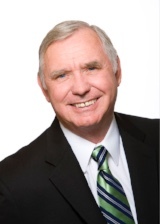 invites Robert Moffit, Ph.D of the Heritage Foundation into the Doctor’s Lounge to discuss the opinion piece, the thought leaders in the Democrat party’s embrace of socialism, and what the ideas will mean for the delivery of doctor care to patients. From Moffit’s editorial – How “Medicare for All” Bills Would Worsen the Doctor Shortage appearing in newspapers nationwide this week…. “Medicare for All” may sound good to some Americans – until they take a closer look at how it would actually work. Take something pretty basic: how it would affect the number of medical professionals we have in this country. “Medicare for All” would drive out many doctors and nurses – and compromise the accessibility and quality of medical care for millions of Americans.